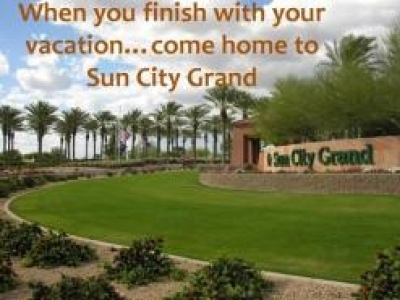 One of my favorite Active Adult Communities in the valley is Sun City Grand. Sun City Grand sits on 4,000 acres, 18 miles northwest of Phoenix in the city of Surprise. What qualifies Sun City Grand as an Active Adult Community? 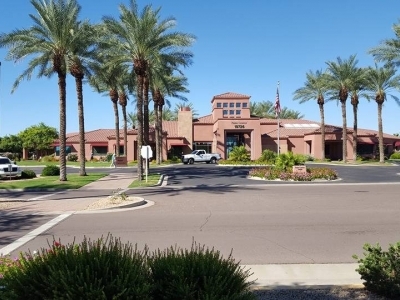 Sun City Grand is an Active Adult Community qualifying for the senior housing exemption as defined by HOPA (Housing for Older Persons Act), as housing designed and operated for occupancy by persons who are 55 years of age or older. 85% of our homeowners must be age 55 or over; 15% may be age 45-54 and no children are allowed to live within Sun City Grand under the age of 19. What's special about Sun City Grand? Oh, where to begin. How about 4 signature golf courses! Sun City Grand is the home of four Billy Casper and Greg Nash signature golf courses. 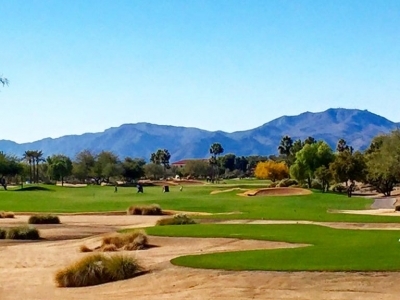 The Desert Springs was the first Championship course built in Sun City Grand in 1996. The Granite Falls South and North courses were built next in 1997 and 1999 respectively. Finally, Cimarron was built in 2002 and is considered by most to be the most challenging of the four courses. Sun City Grand is a full service golf operation with driving ranges, full service golf shops and food and beverage service. Where can you go for a bite to eat? â€‹ There are 3 Restaurant options within Sun City Grand; Angela's Restaurant at Desert Springs, Coco's at Grant Falls and the Grand Cafe'. (Try the yummy lamb sliders at Angela's Restaurant) How easy is it to get around? Ease of access was once an issue, but no more with the fall completion of the 303 to I-10. Weather you want to get to downtown or escape for a weekend getaway to the Grand Canyon, the 303 will get you on your way quickly. So how do we meet people once we move to Sun City Grand? There are endless activity and club options, so many in fact, that you could not possible participate in everything offered. From Art to Woodcrafters, Armed Forces, hiking, Cards, dance, railroading and everything in between, you are bound to find an organization that will connect you with people who share your interests. What else is there to do near Sun City Grand? There are numerous sites and activities a short drive from Sun City Grand. Like baseball? Surprise is the spring training home of the Texas Rangers and Kansas City Royals. Games are played everyday in the month of March at the Surprise Stadium. One of the best keep secrets is the Arizona Fall league where tomorrows stars ( I have most recently watched Stephen Strasburg, Brice Harper and Mike Trout play) participate in October and November. During the regular season, the Dbacks command Chase Field in downtown Phoenix. Looking for Culture? The Arizona Broadway Theatre and Theatre works in old downtown Peoria are great options. Prefer some outdoor scenery? The west valley is home to the Wildlife World Zoo and Aquarium. This facility has grown to the point that it is almost difficult to see everything in one day. For May - August 2014, you can visit the Wildlife Life World Zoo for Half price using a Hickman Eggs carton 2 for 1 coupon - eggs can be purchased at Target. Another great option is the Desert Botanical Garden. Take a relaxing stroll through the gardens and learn about the diverse plant life in the Sonoran desert. Are there many housing options Sun City Grand? Sun City Grand is a development by Del E. Webb. Sun City Grand built it's first homes in 1996 and completed their last home in December, 2005. There are 17,000 residents living in 9,550 homes. 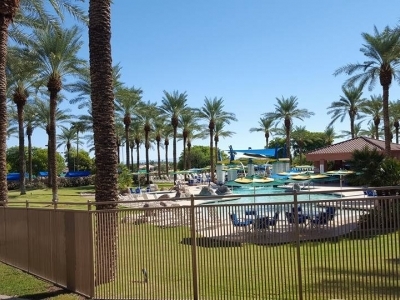 All Sun City Grand amenities are 100% homeowner-owned, including 4 golf courses, five swimming pools, 2 fitness centers, as well as 14.8 miles of walking and biking path. There are 63 Neighborhoods within Sun City Grand ranging in size from 50 homes to over 300 homes. You have multiple options to meet your prefered home size and layout with 50 floor plans ranging in size from a Villa at 1,096 sq. ft. to an Estate Model topping out at 3,388. If turnkey, no maintenance condominium living is your preference, the La Solana development provides an excellent alternative to single-family homes with its 252 condo units. Inline image 1 Ok, I'm sold on Sun City Grand!